At least once a year my wife and I love to spend several days hiking in the Hawaiian snow. Yes, there is regular frost and snow in Hawaii. At 13,000 ft (4,000m) the air is thin, the head is spinning and the going is tough. 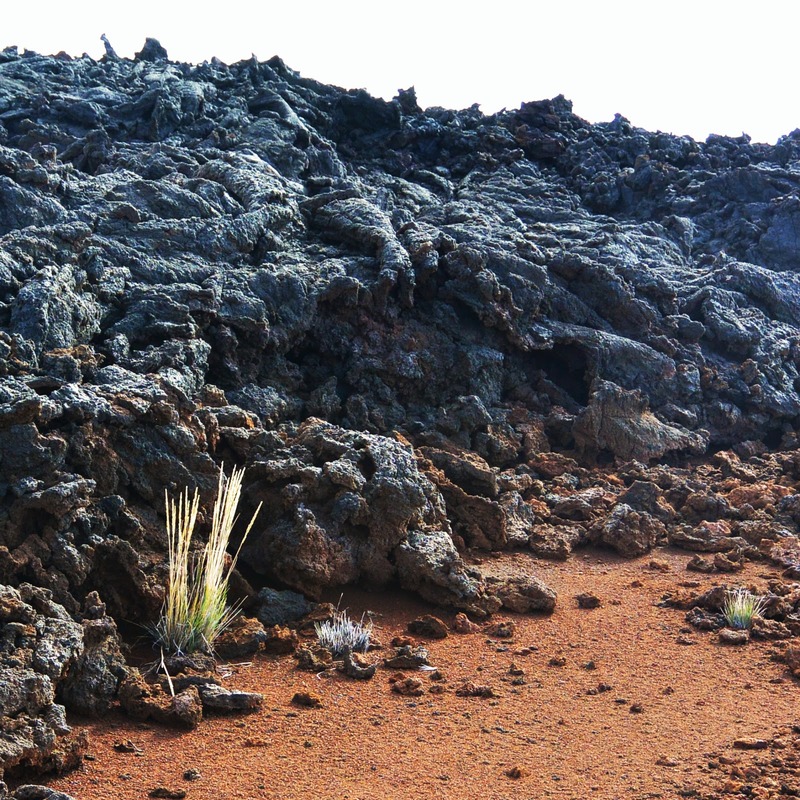 All around is a volcanic wilderness with spectacular lava formations but completely devoid of anything alive except a few spiders persisting on insects blown up there by the wind. Even other hikers are a rarity - the highest number we had ever encountered were five in one full day. After the year-round crowds of Manhattan - this is our mountainous hermitage. Hiking cleans our heads and sharpens our senses. And then, after a few days spent in almost complete solitude without any telephone, electricity or running water we are ready and happy to return to civilization, but first we need to descend from this frozen high altitude desert. Coming down at the altitude of 10,000 ft we come across our first grass. Just a few small bunches of tenacious, hardy grass, but grass nevertheless. After days spent among just black, brown, gray and red rocks, the grass is so green and alive. Grass is so underrated! Every single blade is like a harbinger of life. Yes, I know that the Hebrew Bible grass has a reputation of ephemerality and impermanence. It is undeserved reputation and rightly corrected by the Synoptical Jesus who lifts the humble grass of the field above the beauty of the legendary monarch. Come and join us this Sunday celebrating the beauty and diversity of grass, any life including the humankind. Video version of this blog (with few more pictures and videoclips) is here on YouTube.